BioPure Healing Products’ new line of BioPure O3 Oils are made by bubbling pure O3 into the finest grade organic olive oil and pure organic castor oil, a vegetable oil obtained from the castor bean (technically the seed of the castor plant, Ricinus communis from the family Euphorbiaceae). The BioPure O3 Oil GAMMA is made up of four ozonated oils. SKU: 554b 1. 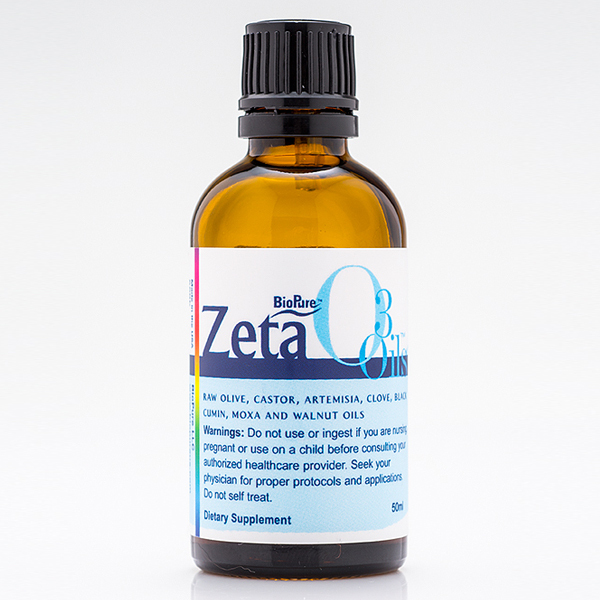 Categories: 03 Oils, Immune Support, Rizol Oils. 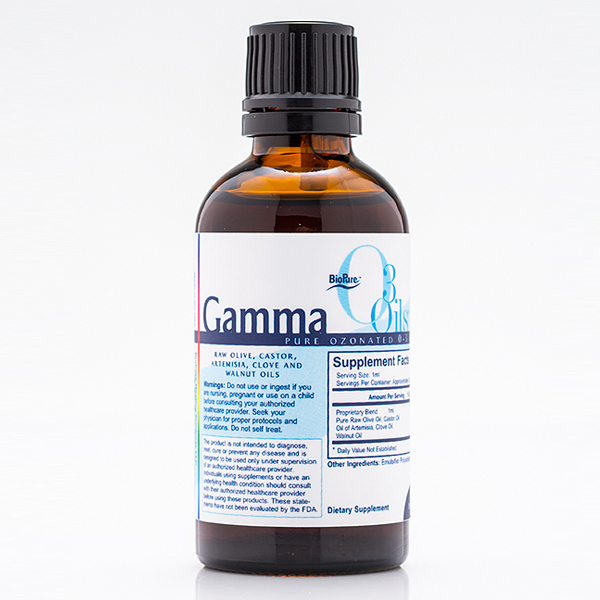 Tags: BioPure Gamma, BioPure Gamma O3 Oil, Gamma, Gamma O3 Oil, O3, Oil, Rizol. BioPure Ozonated Oils are fairly recently discovered compounds that form when natural oils are ozonated for extended periods of time. Depending on the organic plant oil used, the time of exposure to pure medical grade ozone gas, voltage and amperage in the high-voltage chamber, different compounds with unique properties are formed. The content of this website is not intended as medical advice. Always consult a licensed healthcare provider before trying any form of natural product therapy or if you have any questions or concerns about a medical condition. The use of natural products can be toxic if misused, and even when suitably used, certain individuals could have adverse reactions when using natural products. 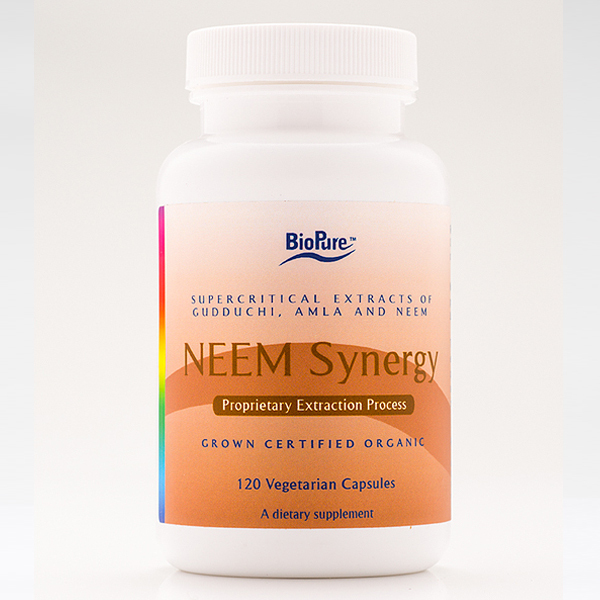 Test for allergies by using a small amount first and discontinue use if any unexpected result occurs. Natural products sometimes adversely interact with other herbs as well as prescription medications, resulting in causing more health woes than they cure. Before beginning to use natural products take the time to learn how certain herbs may interact with other types of medications. Doing so increases the chances of reaping the benefits associated with a given natural product while avoiding undesirable side effects. We do not recommend any of our natural products to be used in the treatment of small children without the guidance of a licensed healthcare provider. We do not recommend that any of our products be used while breast feeding, while pregnant or trying to become pregnant. *Our products are not intended to diagnose, treat, cure or prevent any disease and are designed to be used as part of an overall health plan with your authorized healthcare provider. Individuals taking food supplements or have an underlying health condition should consult with their authorized healthcare provider before using these products. We suggest that you consult your authorized healthcare provider if you have any health problems and require a medical diagnosis, medical advice or treatment. Statements in this ad have not been evaluated by the FDA.